LTLI-9219-4.4: 11.1v 4400mAh Li-ION battery for DELL J1KND etc. LTLI-9016-4.4: 10.8volt 4400mAh Li-ION battery for HP COMPAQ Pavillion DV4000. SIZE:8.08"L x 2.02"W x 0.84"H. See full x-ref list for compatability. Price is for 1 battery pack. LTLI-9079-4.4: 10.8v 4400mAh Li-ION battery for APPLE iBook G3 & G4 12" series. Replaces battery model #s A1054, A1133. See full x-ref list for Laptop model match. LTLI-9072-4.4: 14.4 volt 4400mAh Li-ION battery for Apple 14" G3 G4 iBook. Replaces M8416, A1134. 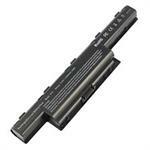 PA3819U-1BRS, PA3817U-1BRS: 10.8v 5200mAh Li-ION battery for Toshiba Satellite series C, L, M, Pro, etc. See full x-ref. LTLP-9071-5.4 : 10.8 volt 5400mAh Li-PO battery for Apple MacBook 13 series Laptops (see full x-ref list). 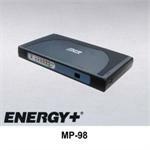 Replaces battery model #s A1185, MA561, MA561G, MA561A, MA561J, MA561FE, etc. Fits Apple MacBook 13 MA254 series thru MB403X/A series. LTLI-9244-8.8: 10.8v 8800mAh Li-ION battery for Toshiba Satellite laptops. Replaces PA3817U, PA3817U-1BRS, PA3816U, PA3816U-1BRS, PA3818U, PA3818U-1BRS, PABAS228, PABAS229, PABAS230, etc. LTLI-9121-4.4 : 10.8 volt 4400mAh Li-ION battery for HP and COMPAQ laptop computers (see model# x-ref list).